As far as I understand, the image uses the version of Nemo in the Ubuntu repositories, which is 3.6, 3.8 isn’t even in Debian Sid yet, I’d suggest waiting for it to get updated there (maybe send an email to the maintainers asking when that will happen and if they would appreciate your help, if you know how to package). Once it’s in Sid, it will automatically sync to Ubuntu Cosmic Cuttlefish (if before 23rd August, if it’s after 23rd August then you’ll have to request a sync). You can then request and test a Backport to Ubuntu 18.04. Even then, it probably won’t be included in any Ubuntu Unity 18.04 images, there’s good reason why new versions of packages (except for bugfix/very minor releases) are only accepted to Backports once a version of Ubuntu is out - Ubuntu is not a rolling distribution and the nature of shared dependencies etc makes proper updates after release risky. Ubuntu images don’t use Backports, they have to be enabled by the user in Software & Updates. Basically, you’ll want to wait for Nemo 3.8 to get into Debian Sid, then synced to Ubuntu Cosmic, then you can try your hand at building an ‘Ubuntu Unity Cosmic with Nemo’ image. I don’t know where the instructions for building Ubuntu images are. @dale-f-beaudoin (the Ubuntu Unity lead) built the previous ones and he’s off sick at the moment. Thank-you for that heads up, @ads20000 as I was about to take it for a spin! That is not going to happen, at least on my part. The amount of work needed to refresh the all the patches is non-trivial. Whether someone else would take on is doubtful though you never know. From my perspective 18.04 is it for unity, as far as current nemo it serves it’s purpose with a couple of warts. Sure, in the available patches there is one called 12_unity_launcher_support.patch, it likely adds that ‘feature’. I don’t use because it creates the dbus nonsense with the typical xdg folders in the default quicklists. I may reconsider that, may not. If you want to build yourself you can add that patch. Or it’s probable you could just use the nemo3 ppa’s artful nemo packages in bionic, it’ll have that patch applied. Thank you, I imagined it would be the case but it doesn’t hurt to ask. The ~/.cache/dconf/user file is not there. Don’t remember, if it was there, when Nautilus was running the desktop. Maybe, it is nothing to do with Nemo. Any ideas of getting it back? I haven’t seen that folder & included user file since 14.04/16.04. Even then (and now) it would only show up if one changes a root preferences saved to dconf, ex. show hidden files in root file manager., line numbers in root gedit, ect. (- it’s possible it may have been present in a fresh install in the past, still no value. I upgraded to 18.04, installed nemo as per @mc3man’s instructions and ppa (thanks!!! ); all works, but when I switch workspace the desktop wallpaper shifts, while the desktop icons stay still on top of the moving wallpaper. It’s driving me nuts, is there any way to prevent that behavior, and keep the wallpaper still when changing workspaces? (as it always was the case on all my previous Unity installs) Thanks! What are the specs of your laptop? Is there any way we can do a 18.04.1 build of the ISO though? The original from frebruary has the unity7 maintainers PPA which I believe isn’t necessary for 18.04 and also requires a massive apt update upon boot. @dale-f-beaudoin was uploading the ISO. I myself do not have access to people.ubuntu.com. I asked several people in the team. But none of them were interested in doing this. And you are right, for 18.04, you don’t need the ppa. I will update the PPA for 18.10 soon (see 18.10 testing thread) . Can you now build a ubuntu-unity-iso from xubuntu image for 19.04 ? @khurshid-alam At the moment, the Xubuntu 19.04 daily cannot be installed in either an MBR or EUFI laptop. The installer crashes. Doesn’t install the initrd.img to /boot and so on. Don’t feel like installing this Xubuntu manually, so would wait for sometime, until they get the installer right. For the moment, installed Xubuntu 18.10, upgraded it to Disco, installed ubuntu-unity-desktop from the PPA, uninstalled xubuntu-desktop and most of xfce apps. I kept some, like the wallpapers and icons. Can build an iso from the installed one, but it is too early. If your PPA can be kept to a minimal, without as much as possible gnome shell stuff, installing over Xubuntu would make it much more snappier. Idling with only system monitor open. Memory 760.5 MiB (797.44MB). 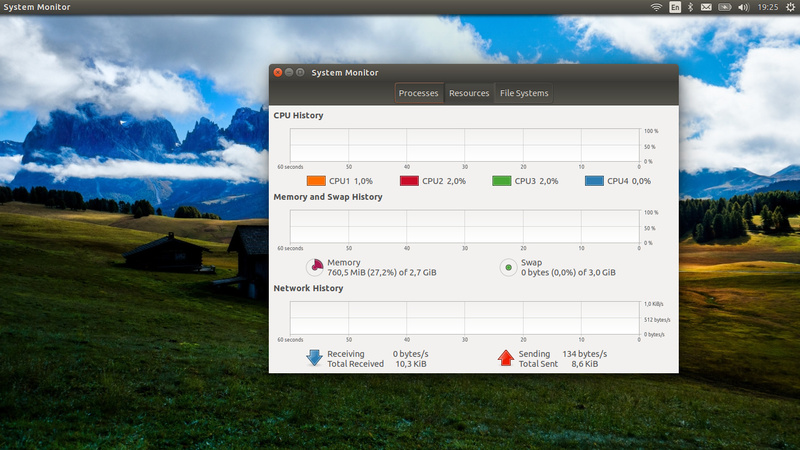 I plan to add a ubuntu-unity-desktop-minimal, but that requires some dependency cleanup in each component. On top of fresh Xubuntu if you run first command what packages it wants to install ? Can you provide a list? Does it try to install thunderbird ? 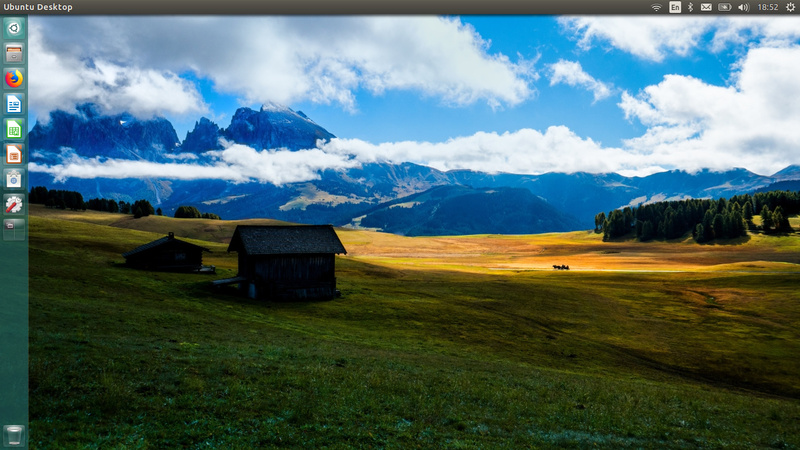 That brings another question… what are top minimal distros based on ubuntu free from unnecessary packages ? If you try to remove them best remove them altogether otherwise it will break the dependency. That’s why I feel it’s much better to install minimal unity on top mini.iso (or some other slim ubuntu based distro) and then try to create a iso using bodhi-builder or customizer from hard-disk. All these ready made Ubuntu derivatives have some unnecessary packages. Even though it is said not to upgrade from the earlier release to the newer, that’s what the devs do anyway, hence all kinds of unnecessary packages. For example, if the dev has a HP printer, he forgets to uninstall the drivers and so on from the final release. No one is going to start fro the very beginning to create the “next” release. In different derivatives, it is the filesystem.squashfs that (really) differs, The rest is same files with different distro names and different backgrounds for live booting. In the UEFI live boot, even the grub background is the same. So, the idea to use the mini iso and add a minimal Unity to it. If the Ethernet is a problem, why not copy the Unity specific deb packages from one of your 18.04 Unity install. If you’ve not autoremoved and cleaned the system, some of them should be in /var/cache. Or, when the Ethernet is OK, just download all the Unity specific debs and dpkg them. That way, you’d create a clean Unity install. The roundabout way, install Xubuntu 18.04 in minimal, then install Unity on it. Reboot and uninstall lightdm-gtk-greeter and reboot to Unity greeter. Then uninstall whatever unnecessary stuff left. You have to install Synaptic before uninstalling all that. You can see what is there and what is not needed in it. You can use Lubuntu 18.04 instead of Xubuntu, but there you have to uninstall lubuntu-desktop and all lubuntu, LXDE stuff and Openbox, after installing Unity there. 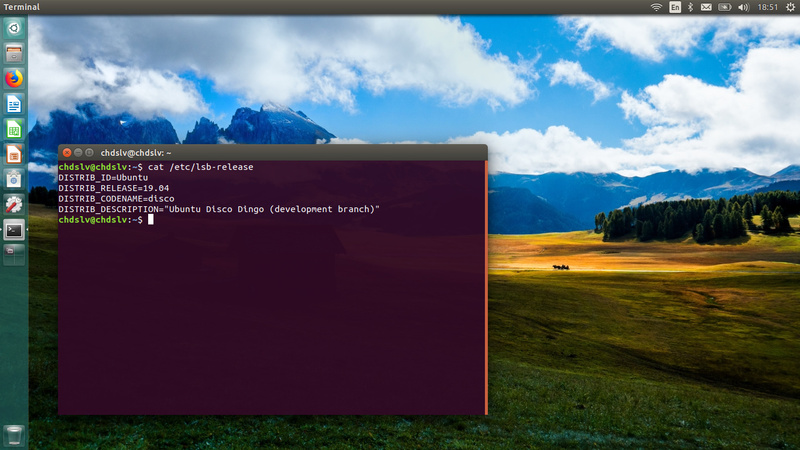 It is a lighter in size distro than Xubuntu. It is actually LXDE over Openbox so much lesser bloat there. By the way, don’t touch Lubuntu 18.10 or anything newer, for they are bloated. You can see my trip to Plasma. Btw, I didn’t have ANY troubles in doing that, even though there is a suggestion at the end. The idea was to move it to Unity, and I’ll still do it.